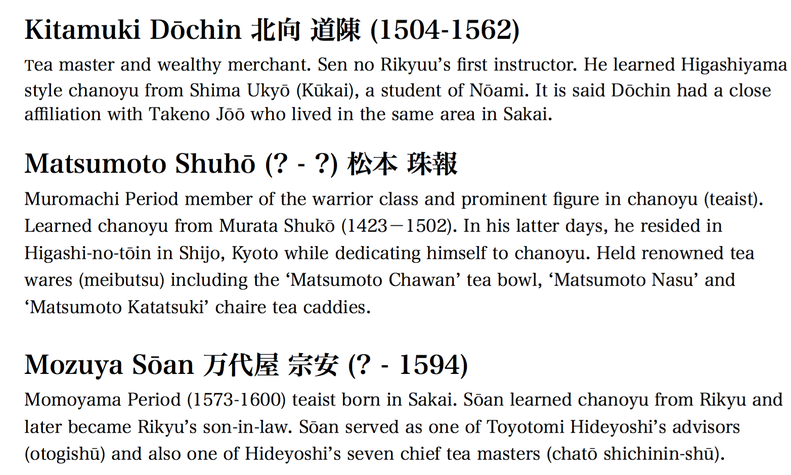 I have long wanted a comprehensive resource on key figures in chanoyu history in English. There's none around, so I may as well make one myself as I chug along with my translation projects! The figures in this document are those who have appeared already in the translations. The genealogy diagram at the end of the document is one I produced for another piece of work. It is not as comprehensive to include all the people that will be appearing in this running document. But I think it will help people place things in a bit more context. I'll update this document and post it on my Patreon each month. It will make me very happy if it comes in handy for people every now and again.